"Intelligent Search Solution for Sitecore by Coveo"
Integration with multiple platforms with unified Index. A typical search would create index per data source. Coveo makes your life easy that can combine multiple data source into a single search index.The Out of the box implementation with the UI designer, Analytics, machine learning. Cloud administration interface is icing on the cake. The Coveo components will help as a starting point rather building from scratch. The templating support in the search results. WYSIWYG UI and the Unified index is a plus.Sitecore Experience Database (xDB) Integration helps leverage the persnolization benefit from Sitecore. The growing community and support over the slack are impressive. Cross platform security awareness and seamless search experience. Rest api helps in custom application integration. Initial setup and upgrades were a breeze. The initial learning curve on understanding the query language. Developer license support rather creating a trial every month should have some option. The trial license is enterprise but if we have pro cloud. we might develop something that's not supported in prod. Coveo on the cloud is a perfect fit for the current technology stack. Machine learning and relevance tuning play a major role. Analytics helps in identifying the missing content and conversions. Intelligent global site search, Auto tuned relevance, Type ahead, Analytics that helps in improving the content. First off we want to thank you for spending some time to write us a review on G2Crowd, feedback is always welcomed and without customers like you, we wouldn’t be as successful. As always, we are working diligently on creating documentation to ease the learning curve, as well as additional training videos for public consumption. In regards to the developer license, currently the cloud trial is a full fledged index, but we are working for a permanent, but limited cloud offering in the near future, which you will be able to use for dev testing. Finally, having the choice to select a Pro edition for the trial is currently in the backlog and will most likely be in our next version. If you ever have any questions, concerns, or suggestions, don’t hesitate to contact us directly at support@coveo.com. Coveo has the flexibility to provide cross-channel content search functionality. In addition the faceted search ability is customer friendly, as long as "we" tag the content properly. I find it it somewhat amazing that we are able to search & provide results from any one of our portals, even those that need passwords. Really like the tool, have used it in two different companies. However, it take a bit of time and testing to get the search functions correctly configured. Just know that planning, testing and time is required to get it right. Once right, it is great! Just be certain to have a consolidated objective, understand what you will be providing the end-user, and plan for the build. We solved the cross website search ability, including our CRM [SFDC]. We were surprised at the accuracy of searching other websites and portals we own. We wanted all of our disparate assets to be combined in a faceted & tabular manner for ease of finding information. Coveo has done this extremely well. In addition we wanted each language site to have a localized search first, then apply the English assets. This is no issue. Thanks so much for your kind words and thank you for taking time out of your day to write us a review on G2 Crowd. It’s outstanding to hear that you’ve not only used Coveo at your current organization, but another too! If you ever have any questions, concerns, or suggestions, don’t hesitate to contact us directly at support@coveo.com. What Enterprise Search solution do you use? Coveo is a very user/customer friendly option for those looking to obtain information from multiple sources through a search engine. Its search ability is easy to implement and produces results in a fairly quick fashion. Although I mentioned that Coveo is fairly easy to implement, there is a learning curve associated with it that may frustrate some in the overall user process. Be prepared to spend a good amount of time planning, learning, and testing the software in order to be come a successful user in the long run. Expensive compared to other options. Worth a try - make sure to plan time to really learn how to use the software to your advantage. Definitely good at producing search results and pretty compatible with most things. "Enterprise Search engine for coporate Intranet"
Fairly good search engine. We have been disappointed with the product overall. Had issue that cause it to fail for no reason. Very expensive solution compared to Microsoft and others. Support is poor and generally not helpful when tickets are created. Facet filter development and management is difficult. We have outstanding issues that have not been resolved by the vendor. I don't recommend this software for SharePoint search in 2010 and we plan on switching to SharePoint Search in 2013. Enterprise search without FAST in 2010 using OCR. Few benefits have been realized and the cost savings has been lost. We are very happy that Kent Corporation has been a Coveo client since 2010 and we are sorry to hear about the issues you’ve encountered while using the Coveo solution. I’ve personally taken the time to review your support tickets and have noticed that all concerns on record have been addressed. Our Customer Support team appreciates your feedback, as they are always trying to improve. Since all tickets have been closed, we hope that you, and Kent Corporation, can continue to successfully and seamlessly use our tool. 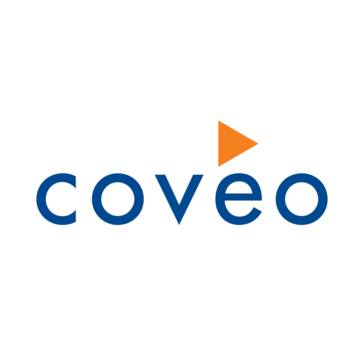 If you do still have outstanding issues, or encounter any more in the future, you can contact us directly at: support@coveo.com. Alternatively, you can view our support database here: https://support.coveo.com. Easy to implement search engine for cloud application. The best I like is it returns search result real quick irrespective of the data size. We have around 500,000 plus partners and its related bulk data in the system, was amazed to see the performance for huge data size. Package upgrade is not smooth with reference to communication. Customer success needs more improvements. All this should go away as company evolve..
Easy to deploy package for your cloud applications. Search feature for our partner portal(cloud based system) was not available due to the fact that portal is purely customized. Coveo helped us to enable search engine for partners on pretty huge database. Thank you so much for your kind words, we are so pleased to hear that Coveo is working for you and VMware as intended. Our Customer Support team is always looking to improve, and we’d love to gain more insight to any recommendations you may have. As always, if you need our help with anything feel free to contact us at support@coveo.com or alternatively, you can view our support database here: https://support.coveo.com/. Coveo is very user friendly in terms of setup and configuration. VMs are supported, and in the event you need troubleshooting help, their customer service is one of the best for indexers. Cost. Realistically the price point for Coveo is geared towards larger corporations making difficult for smaller firms to afford its services. Considering the competitors in the market, I would expect the price point to drop significantly to retain its customer base. Do your research, especially in terms of price point, to see if Coveo is a match. You are licensed by the number of documents indexed, which can make it very expensive for smaller firms. One of the better search options on the market. Compatible with distributed indexing. "Coveo is a great enterprise search tool that can bring together various sources in a pinch"
Thank you so much for your review, we are so pleased to hear that you are enjoying the customization options that Coveo offers. Regarding crawl speeds and admin logging, I'd recommend you speak with our Support team to see if they can assist you in anyway. You can contact them at support@coveo.com or alternatively, you can view our support database here: https://support.coveo.com/. This being an enterprise search tool, we selected this as the tech support wants to search solution from various sources while on client call, which is not possible in salesforce. Taking our data on their servers, hard to configure, to setup you should know the scripting language. not that easy to learn to configure. Always need the PS team to help in updates etc. Search page for techs support to fetch results from various sources like JIRA/ SFDC / Confluence etc. Thank you so much for taking time out of your day to write us a review. We are so pleased to hear your success with utilizing Coveo for Salesforce. Upskilling your tech support agents is a proven way to successfully close support cases quicker. If you ever have any questions or concerns, don’t hesitate to contact us directly at support@coveo.com or alternatively, you can view our support database here: https://support.coveo.com/. "You could probably use Google"
It doesn't really get in the way of itself. It's a search engine. It tries too hard. You can probably do without it. They wanted a comprehensive search for all documents and intranet sites. "Terrific event marketing tool for nonprofits "
Your ease of use will be amazing! That its a good program that my company uses. That its not as easy as the past programs that I have used. Organizational problems on a big company scale. Excellent machine learning. Top notch saleforce integration. Nothing! Really great software. No issues I have found. * We monitor all Coveo reviews to prevent fraudulent reviews and keep review quality high. We do not post reviews by company employees or direct competitors. Validated reviews require the user to submit a screenshot of the product containing their user ID, in order to verify a user is an actual user of the product. Hi there! Are you looking to implement a solution like Coveo?